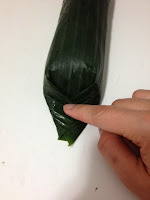 I have uploaded another post before on how to cook lontong without banana leaf, it was fun and easy. 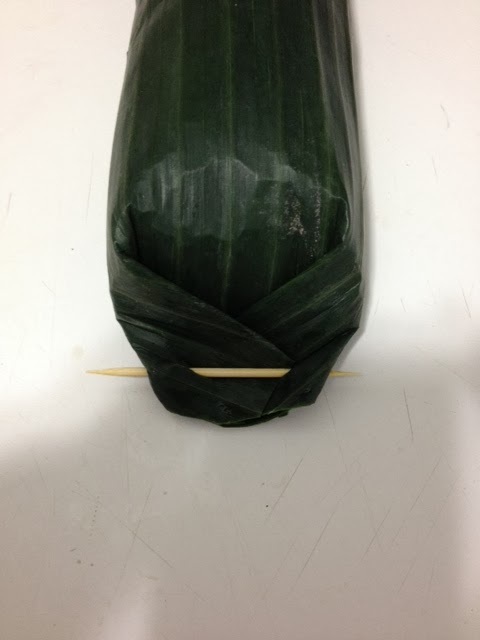 Today I finally managed to cook the real lontong with banana leaf! Cooking lontong with banana leaf actually isn't as complicated as I thought it would be. It does take a little bit more effort and time, but its all worth it! 1. Wash banana leaf carefully then pat it dry. Be very careful and try not to tear it. 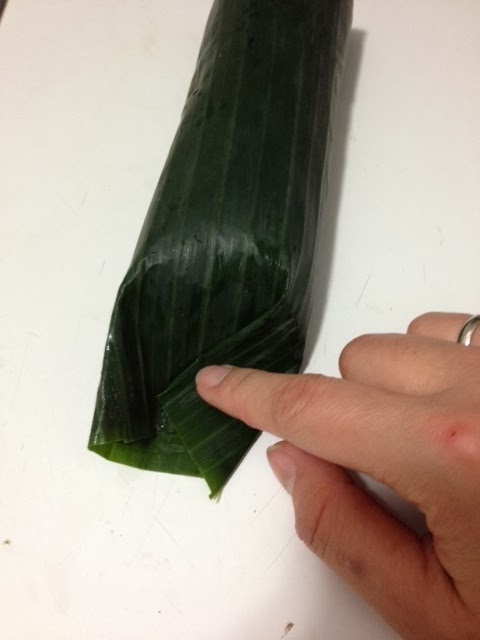 Wash it with hot water if necessary, it helps to make the leaf more flexible when folding. 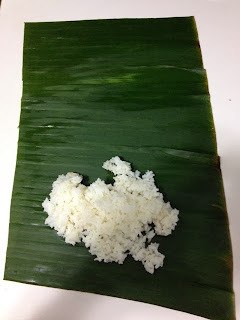 3.. Lay a piece of the leaf on a flat surface then spread 1 or 2 cups of cooked rice on one edge of the leaf. 6. Put the lontong into the boiling water and let it boil for 1 or two hours. 7. When its done, take the lontong out from the water and let it cool down. It will get firm when its cool. 8. Lontong is ready to be served as a perfect side dish for any meal. PS: I suggest you to roll the rice right away after its cooked. The heat from the rice will soften the leaf and make it easier to fold and decrease the risk of the leaf being torn. Ohh wow! what a lovely recipe you share with us. Thank you so much for this. Here I read that banana leaves are important for this recipe and we are the wholesaler of banana leaves. 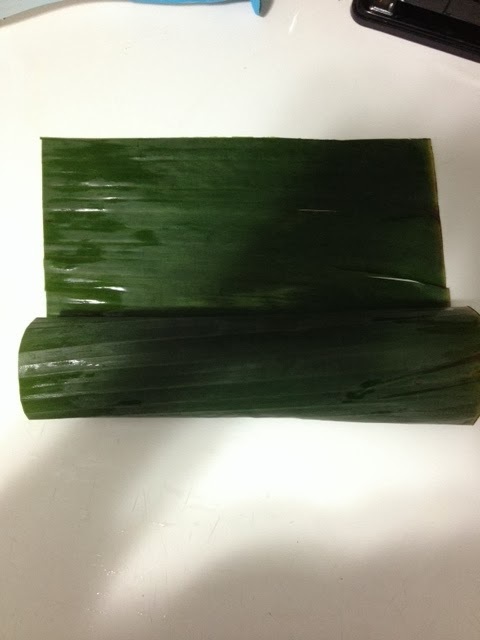 Whoever wants banana leaves please contact us, we provide the best at a reasonable price. 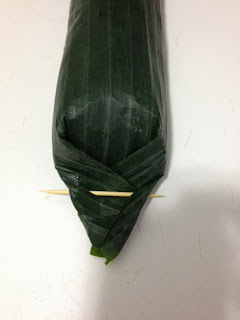 Yes you are right the food which cooks in banana leaves are looks great with fantastic taste and smell. Million Bananas are wholesaler of banana leaves. Buy now fresh banana leaves at an affordable price.